The J-470™ Jacuzzi® Hot Tub combines numerous PowerPro® Jets, a status indicator light for quick reference, dual waterfalls, a beautiful high-backed design, and plenty of LED lights to create an inviting ambience for your backyard party or solo relaxation. The Jacuzzi® J-470™ luxury spa also includes a status indicator light for quick reference, illuminated cup holders, dual lit waterfalls, and glowing logo lights and pillows to create an inviting ambience for your backyard party or solo relaxation. If you’re looking for additional jets or a larger tub, check out our other hot tub options in the J-400™ collection. 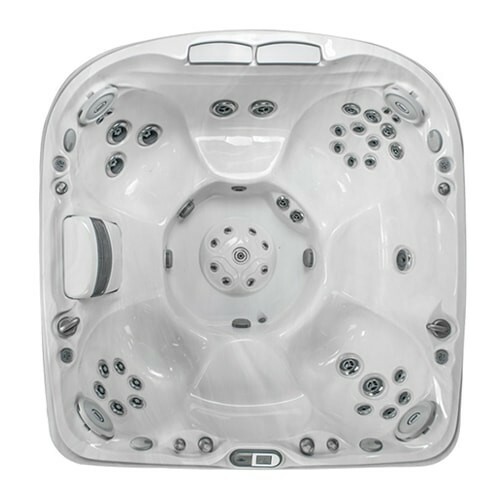 In addition to an assorted selection of spas, we also offer a variety of accessories for your Jacuzzi® Hot Tub. Browse our add-ons and models to find the products best suiting your needs. J-400 spas are warranted against water loss due to defects in the spa shell for ten years from the original date of purchase. 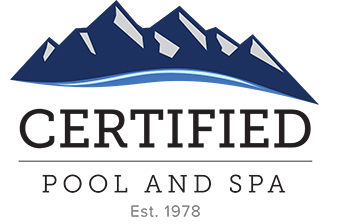 J-400 spas are warranted against blistering, cracking, or delaminating of the interior surface of the spa shell for seven years from the original date of purchase. J-400 electrical equipment components – specifically limited to the pumps, heater, and control system – are warranted against malfunctions due to defects in workmanship or materials for five years from the original date of purchase. J-400 plumbing components are warranted against leaks due to defects in workmanship or materials for five years from the original date of purchase. J-400 spas’ ProEndure™ synthetic cabinets are warranted against defects in workmanship or materials for five years from the original date of purchase. Normal wear and weathering of the finish will occur naturally over time, and are not defects.